With seven saves in eight opportunities and a 1.93 ERA, Mo is as automatic as they come. 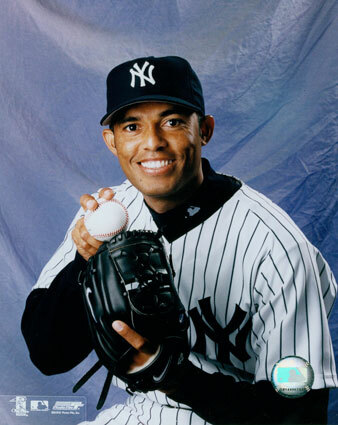 Even at his advanced age, Mariano is a #1 fantasy closer, if not the top closer. 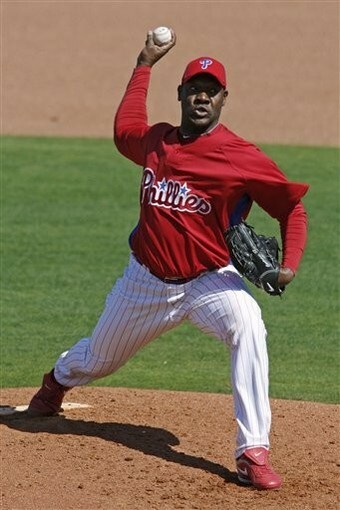 Rafael Soriano is the next in-line, but I wouldn’t hold my breath. Although health is often a concern with Street, seven saves in seven opportunities with a 2.03 ERA is not. Street has really come into his own in Colorado and as long as he can stay healthy, he is becoming nearly automatic out on the mound. Add in fourteen strikeouts and Street is as dangerous as they come. Lidstrom has been spectacular as well to start the year, but with health and performance issues surrounding him in the past, Lidstrom at best is a filler in case of an injury to Street. A solid #2, Lidstrom will form a solid 1-2 punch with Street all season long (on the field and likely on the DL at some point). The youngsters debate should be over. Six saves in seven opportunities and a 0.96 ERA. 2/14 BB/K ratio. 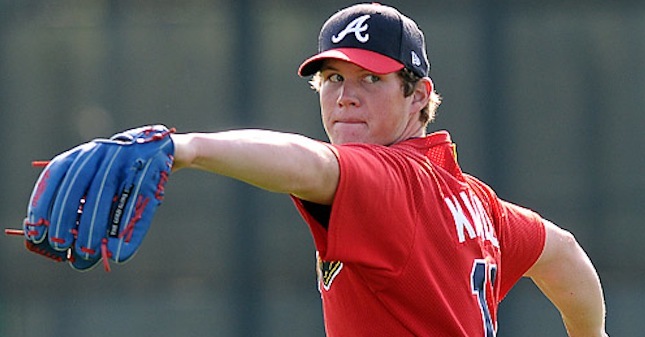 Kimbrel is clearly the man in Atlanta. While Venters is very talented and the next in line should Kimbrel falter, the rope for Kimbrel grows by the day. Atlanta appears to have found its closer for the next decade. With the hot start of the Indians, Perez has been enjoying the ride. Six saves in seven opportunities and a 2.25 ERA. One area for concern: four strikeouts in eight innings pitched. Although Perez is becoming craftier on the mound, low strikeouts for a closer generally leads to disaster. The Indians have some decent arms in the pen, including Rafael Perez. But the Perez of choice is Chris. The second coming of Trevor Hoffman, Bell is a perfect five for five in save opportunities with a 1.00 ERA. Having Bell on the Padres is like driving a brand new Mercedes while living in a bachelor apartment on the wrong side of the town. An unnecessary luxury in many observers’ estimation. Beware that a hot Bell will have trade rumors surround him all summer long. The Padres have literally 4-5 closing options in the pen, so this situation is far from settled if Bell is dealt. I could see Neshek, Qualls, Gregerson and Adams all getting their shot. For now Bell is a top five closer unless he leaves San Diego. If I had to watch one reliever it would be Neshek, who has come back from injury and could claim the job in the event he is called upon. Broxton somehow is a perfect five for five in saves but with a 5.19 ERA, the end is likely coming near. The hope for many baseball analysts, including my own, is that Broxton can turn it around and reclaim his form. Kuo, once healthy, is the likely pick to take over the role. My dark horse pick is Mike MacDougal, the veteran who has extensive closing experience. A 1.13 ERA for MacDougal is outstanding, but his 5/6 BB/K ratio is nothing to write home about. Guerrier may also get a look, but Kuo is the consensus pick to take over at some point. I would like to sit here and guarantee that Broxton will recover and return to form, but I can’t promise that. It could happen, but with each passing rocky outing, even I am starting to have my doubts. My plan would be to remove Broxton from the role and let him work out in his kinks. In the interim I would insert MacDougal to steady the ship and then re-insert Broxton in July. That would be my plan, but not necessarily the same script for the Dodgers. Keep a look out as this mess is far from settled. Running an eight inning scoreless run, a perfect five for five in saves opportunities with nine strikeouts, Contreras has become the man in Philadelphia. But running a close second is Ryan Madson, a 1.00 ERA and 2/10 BB/K ratio. The long-term solution is Madson and any hint of a Contreras downturn will insert Madson in the role. I expect this to happen any week now and once Madson becomes the closer, he should keep it until Papelbon joins the team next year (yes, it will happen). Please do not say Brad Lidge though, that story has been written and re-written too many times. Injuries and production problems is the story of Lidge. Hopefully the Phillies are smart and do not go down that road again. The moral of the story: Contreras today, Madson soon and Papelbon next year. Another closer with a perfect five for five saves record, Farnsworth owns a 1.23 ERA and zero walks allowed on the season. I am not sure who this person on the mound is and what he has done with the real Kyle Farnsworth, but whoever this imposter is on the mound I would keep him. All kidding aside, I am a Farnsworth fan and have wished him well for years. But after watching him implode in nearly every stop on his major league tour, I remain somewhat skeptical. Jake McGee, my closer pick has started off slow but with improved numbers down the road could grab the job. Same with Peralta, although walks tends to hurt his value. The Rays will be riding Farnsworth like a rented mule until he cannot close anymore. Another five for five in saves opportunities, Feliz with a 1.08 ERA has a stranglehold on the job. Recently placed on the DL with a sore shoulder, the Rangers will turn to some combination of Darren Oliver and Darren O’Day , perhaps even Rhodes, until Feliz returns. Don’t sweat this one, Feliz will be back soon and continuing his climb to the top of the ranks of MLB closers in 2011. Of concern is Feliz’s 5/6 BB/K ratio, which will have to change for Feliz to be ultimately effective as the closer. Walks tend to do very bad things to closers in the 9th but based on the the talent in his arm, Feliz will be the go-to-guy this year again. Fuentes was signed to be a solid lefty in the pen and fill-in closer for the A’s. Five for six opportunities, Fuentes has been steady for Oakland but sports a brutal 4.66 ERA. 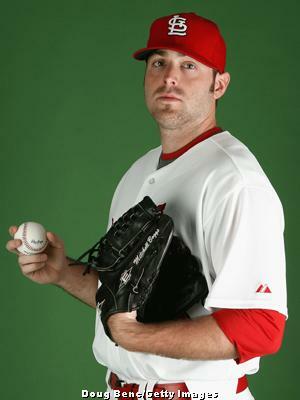 Just like Jonathan Broxton in LA, Fuentes is likely on borrowed time unless he becomes more automatic on the mound. Add a 5/7 BB/K ratio and the Andrew Bailey watch will continue in Oakland. While I see Bailey getting the job in the short-run, Fuentes will find a way to reclaim the job by the summer and possibly to the end of the year. Don’t look now though but Ziegler has not been scored upon this year and could put up a fight as well. Keep an eye on this situation as it unfolds. Five for five in saves, 2/8 BB/K ratio and a 2.70 ERA translates to increased job security for Hanrahan. Much like Heath Bell, as Hanrahan performs well he becomes a luxury on a rebuilding Pirates team in need of prospects. Essentially keeping the seat warm for 2010 all-star Evan Meek, look for Hanrahan to be dealt sometime in the summer and for Meek to take over the closer’s role in 2011 and for the foreseeable future. Yet another closer that is five for five in saves, League is holding down the fort until the return of Dave Aardsma. The 3.68 ERA is ok, but three strikeouts in 7 1/3 innings is not. League has shown good control with only one walk, but changes are still likely coming in Seattle. Expect the Mariners to deal Aardsma and/or League during the summer if Aardsma can return and show health. Given that Aardsma is no guarantee, there is a good chance that League can keep the role for the majority of the year. But I would not bet on it given his shaky track record… I actually expect a dark horse to emerge at some point in this race. Five for seven in saves, Marmol has the security of a long-term deal and is clearly the closer in Chicago. His 2.53 ERA is interesting, but more telling is his 7/15 BB/K ratio. Few closers can touch Marmol’s heat and if he could just lower his walks totals, he would become a top-five closer in baseball. But the walks will unlikely go away this year and expect some interesting moments with Marmol as he works towards 30+ saves in 2011. Kerry Wood is the next-in-line in case, think of him as Marmol insurance. Marshall has been steady as well and the one surprise is Samardzija with a 3.65 ERA, but his 14/14 BB/K ratio shows the heat is there but the control is not. But the Cubs are Marmol’s team. Totals? Five for five in saves, which appears to be a standard at this point in the season. Nunez has a 2.00 ERA and is off to a hot start in Florida. As the summer months approach, I cannot see Nunez sustaining these numbers and a few bad outings could cost him his job very quickly. For a strong run, I appear the Marlins making a trade or picking a new horse for the job. Webb, Dunn and Hensley may all get looks this year, but are unlikely long-term solutions. Until then, the job is Nunez’s to lose. For a guy on the heat seat, all Papelbon has done is go five for five in saves, with a 2.16 ERA and a 2/11 BB/K ratio. Papelbon is as automatic as they come and with his first run into free agency on the horizon, do not expect Papelbon’s role to change in 2011. Papelbon has an incentive to be a fantasy closing superstar and the Red Sox will happily ride him to first round picks as compensation in the off-season. While Bard is the heir-apparent with Bobby Jenks always lurking, do not expect this move to happen until 2012, unless injury strikes. 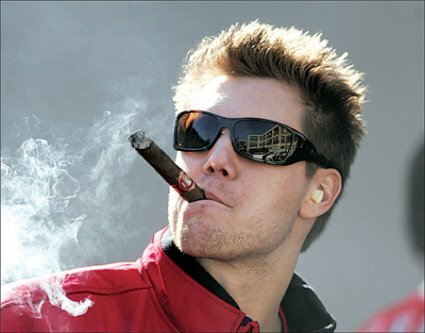 Papelbon will look really good in Philadelphia next year. Remember you heard it here first. Putz has been everything that Kirk Gibson could have imagined in Arizona and more. Five for five in saves (yes, another one), 1.13 ERA and 0/10 BB/K ratio. Expect Putz to be an all-star this year as he leads a young Diamondbacks team back to respectability. With no plan b’s on the horizon, Arizona will live by the Putz and die by the Putz. Ok…ok…ok…. let’s not get too excited people. Soria’s five saves in six opportunities comes along with a 5.59 ERA and a 5/5 BB/K ratio. Add ten hits allowed in 10 2/3 innings and you have some pretty ugly numbers for a top-three closer. With the three-headed monster of Collins, Crow and Jeffress looming, I can foresee some fans starting to call for the head of Soria as the Royals continue to excel. Don’t see it happening. I cannot see the Royals continuing their hot start and I cannot foresee anyone unseating the great Soria. The young Royals pitching squad needs Soria and unless he literally implodes, which I don’t see happening, Soria will be the closer for the next few years. As the Royals build to be contenders in the next 2-3 years, they will rely on a healthy and productive Soria to carry their bullpen. Soria is the Royals closer and do not get any other ideas on the subject. The Giants were the feel good story of 2011 and while the “fear the beard” motto was cute in its time, I think this story is done. Wilson has to get away from the beard and concentrate on what he does best: close ball games. Although five for six in saves this year, Wilson sports a brutal 7.94 ERA a pedestrian 4/6 BB/K ratio. The World Series champion Giants will give Wilson a lot of rope and I cannot foresee him losing his job. But with the World Series letdown could come a return to earth for several players, including Wilson. While he will still get 30+ saves, his numbers are showing that a market correct is in order. Wilson needs to get re-focused…he is the only game in town as the closer for the Giants. The poster boy for mediocre closers, Lyon remains a frustration year-in and year-out. Four for six in saves opportunities, with a 4.32 ERA, 13 hits allowed in 8 1/3 inning and a dismal 2/3 BB/K ratio, Lyon is better suited to middle relief than closing. Lyon is a veteran on a young Astros team and while experience is supposed to help the young pitchers, his stats are hurting the team. With Melancon and Fulchino pitching so well, a changing of the guard is coming in Houston. Right now my money is on Melancon becoming the closer by May. Together with Papelbon, K-Rod had many doubters going into the year. Legal troubles and a declining team and numbers looked to spell the end for Rodriguez. His four saves in five opportunities has been great, together with his 2.35 ERA. His 6/13 BB/K ratio is showing that the arm and heat are back, but so is his wildness. K-Rod will get 30+ saves in my estimation, but may not so pretty getting there. Frankie is getting paid the big bucks and will have the job for 2011. The king of hot starts, Valverde has been four for four in saves on a very inconsistent Detroit Tigers team in 2011. His 1.04 ERA and 2/9 BB/K ratio have been spectacular. Valverde will have the job this year as he works towards another free agency run at seasons-end. Benoit is the closer in waiting and while he will have the job in 2012, will be the filler when called upon. The Tigers will stick with Valverde, period. Pitching for a contending Brewers team, Axford’s numbers have not cut it this year. Three for five in saves, 7.36 ERA and a 6/8 BB/K ratio means that Axford is closing on borrowed time. I still expect Axford to get a little more rope to straighten himself out, but not for much longer. While Saito was my pick to take over the role at the start of the season, and poor health and inconsistency have plagued him. Same with LaTroy Hawkins, another failed closer in the Brewers’ pen. The dark horse for the role is Kameron Loe, the former Rangers starter and Japanese baseball survivor. Look for Loe, who has been the Brewers best reliever season to get the role any day now and to run with it into the forseeable future. I know your first reaction: is Sean Burnett not the closer? A 3.24 ERA, three for four in saves and 0/6 BB/K ratio- is that not closing numbers? Perhaps, but Burnett is like a mirage in the desert. You think you are seeing water, but its all an illusion. Storen with a 0.77 ERA, two for two in saves, six hits allowed in 11 2/3 innings and 4/8 BB/K ratio is the man. Storen has been groomed for the position is whole life and was drafted as a closer to become the Nationals ninth inning stopper. Burnett may still get the occasional opportunity but his saves opportunities are coming to an end. 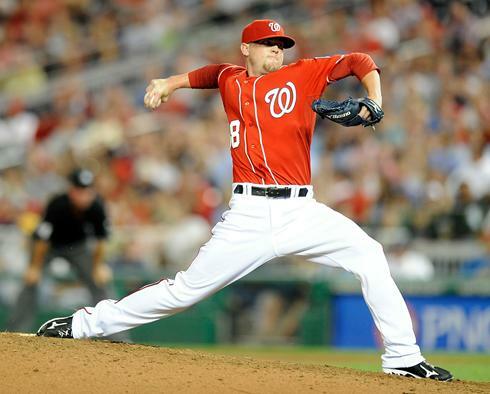 As Storen becomes nearly automatic, the job will be his for the next decade in Washington. The Twins originally said they would bring Joe Nathan along slowly after missing a year due to surgery. What did they end up doing? Throwing him straight into the fire and destroying his pitching confidence and stats line. With a 9.82 ERA and 6/5 BB/K ratio, do not expect Nathan back in the role for a LONG time. Capps, acquired from Washington for catching prospect Ramos has now taken over the closing duties. Three for four in save opportunities, 4.09 ERA and a 0/5 BB/K ratio shows that Capps is ready to run with the job. Minnesota is well-known for steady starting pitching and I look for Capps to finish with a steady amount of saves. 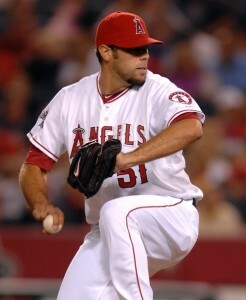 He may not blow hitters away anymore, but with continued control look for Capps to keep the job for most of 2011. For all the doom and gloom coming out of Cinci for Cordero, he has continued to put up great numbers. Three for three in saves, 2.00 ERA, a stingy five hits in nine innings pitched and 4/7 BB/K ratio. The changing of the guard is coming though for the Reds as you look at Chapman’s numbers. Throws 100+ MPH heat, nine scoreless innings, two hits in nine innings with a 7/9 BB/K ratio. This is another case that unless the incumbent implodes or gets injured, he will retain his role. The Reds rely on the Veteran Cordero and Dusty Baker is very loyal to his foot soldiers. Chapman is still showing wildness and the best course is to let him continue to develop as Cordero keeps saving games. A change is coming in 2012 but until then, Cordero is the Reds closer. If you like to gamble though, Chapman has a decent shot at the job… he is the heir apparent and the first reliever in line if needed. One of several new additions to the Jays pen, Rauch originally was supposed to keep the role warm for Frank Francisco until he returned from injury. Rauch on the season has a 2.08 ERA and is three for three in saves opportunities. While his 4/6 BB/K ratio is pedestrian, Rauch will have the job for the majority of the year in my opinion. While Francisco has the heat and the strikeout numbers, he has shown to be very inconsistent and erratic in the closers role from his time in Texas. Francisco will possibly get a shot at the role at some point early on this season, my money is still on Rauch. With so many closing options in Toronto including Dotel and Frasor, this situation is very difficult to handicap. At the end of the day, you either believe in Francisco or Rauch as the closer. My gut is saying Rauch. The next, great Angels closer, Walden has taken to the role and run with it. Ten scoreless innings, three for three in saves, three hits allowed in 9 1/3 innings and a 5/10 BB/K ratio are all impressive. Fernando Rodney, the veteran closer will be breathing down his neck the whole season. If not for his 8/7 BB/K ratio, Rodney has a 2.08 ERA of his own and only blown save on the season. As with all young pitchers, Walden will run into some trouble along the way. The question will be how he handles adversity. This is one team that I have faced several arguments on this season. I see Rodney taking back his job while Walden continues to be groomed into the next big thing. For me, experience and knowledge tends to usually win out and Rodney has an advantage in both departments over Walden. The job is Walden’s today and for quite some time, but 2-3 blown saves in a week can change things in a hurry. Another situation to keep an eye on. Where is Ryan Franklin? One for five in save opportunities and with a 7.88 ERA. Complaining about the fans of St. Louis won’t appease Cardinals management either. The 27-year-old Boggs is the newest closer on the carousel, with two saves in two opportunities, 1.59 ERA and outstanding 3/13 BB/K ratio. There are many people jumping on the Boggs bandwagon and for good reason. The kid is apparently coming into his own and has taken the job by the reigns. As is the case with Walden, we do not have enough of a track record to know the long-term potential of the kid. Again, 2-3 blown saves in a week can change the situation in a hurry. I still expect Franklin to straighten himself out and perhaps reclaim the job later in the year. But based on his solid work to-date, the closer in St. Louis is Boggs and the job is literally his to lose. Keep one eye open, just in case. Pitching in the Brandon Lyon sea of mediocrity, Gregg has been up-and-down this year for the upstart Orioles. Two saves in three opportunities, 4.50 ERA, and 4/6 BB/K ratio are nothing to write home about. Mike Gonzalez with a 10.80 ERA does not appear to be healthy and recovered to be able to compete for the role. Jeremy Accardo has a 2.08 ERA but an alarming 6/4 BB/K ratio. Koji Uehara, with a 1.35 ERA and 3/7 BB/K ratio is my pick for the Orioles closing job when Gregg inevitably begins to break down. The Orioles are lucky to have several options, with Simon originally being my original dark horse until legal troubles slowed down his season. But based on track history, I really like Uehara’s chances to claim the job by June, if not sooner. I certainly saved the worst for last and the White Sox have had their share of bullpen woes in 2011. With one team on the season, Sale and Thornton have not been the saviors that Sox fans were expecting this year. With ERAs north of 6.00, neither one is likely to take the role anytime soon. Ohman and Pena have been fairly weak as well and the last two realistic survivors are Santos and Crain. Much press has been written on Santos, the converted pitcher who has pitched 9 2/3 scoreless innings with five hits allowed a 5/13 BB/K ratio. While many experts are already picking Santos, I am looking at the dark horse, Jesse Crain to take the role. The former Twin had a steady 2010 year and has started this year with a 1.74 ERA and spectacular 2/11 BB/K ratio. Santos is the darling of Chicago with his flame throwing ways, but the more experienced Crain appears to be just what the doctor ordered in Chicago. A situation that is far from unsettled, Thornton or Sale could grab a hold of the job at any time with some steady consecutive outings. But based on current numbers and future outlook, if you want my pick- it will be Crain. With such a strong offense and steady starting pitching, the Sox cannot afford to lose too many games in the 9th if they hope to take the AL Central. That is where a veteran as the anchor will prove to be best solution in the bullpen. The state of closers is always a heated discussion in baseball circles every year. Probably the most volatile position in baseball, approximately 30% of opening day closers will still have their jobs by years-end. With injuries and failures, closers can come and go on a weekly basis. 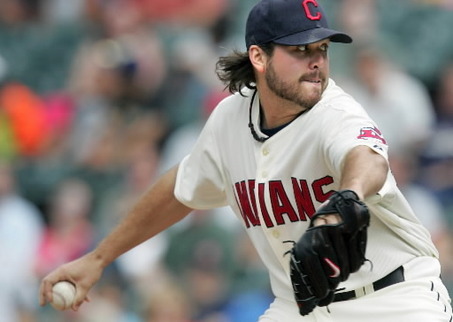 Today’s failed starters can be tomorrow’s superstar closers. Next week’s stoppers can also be minor league filler by August. All baseball fans, whether fans of teams or fantasy players, all get driven to the point of insanity because of closers. For every Mariano Rivera, there will be three Jordan Waldens, five Jonathan Broxtons and seven Brandon Lyons. I hope that you enjoyed reading the state of the union on MLB closers today. Although situations may have changed while I wrote this article (see Contreras) and even tomorrow, remember to keep an open mind and focus on where the next closers will be. The most effective relievers in the bullpen will usually get the first crack- it is the ones that can succeed under pressure that will keep their jobs. Posted on April 24, 2011, in MLB Teams: Articles and Analysis, Players: Fantasy Baseball Articles and tagged axford, baseball, bell, boggs, broxton, capps, closers, fantasybaseball, feliz, gregg, hanrahan, lidge, loe, lyon, madson, marmol, meek, mlb, nathan, papelbon, rauch, rivera, soria, storen, valverde, walden, wilson. Bookmark the permalink. 4 Comments. Very good article. Great advice piece for people building fantasy teams. One question about the Dodgers. Do you think Jansen can be the closer of the future there? I do. I would insert Jansen over MacDougal if it came to Broxton needing a replacement. Aside from Jansen’s high strikeout rate, MacDougal has been the more solid option this year. Jansen may be a big boy at 6’6″ and 250+ pounds, but we are not trying to sell jeans as Billy Beane would say, we are trying to win ball games. I stand behind my MacDougal pick. WOW!!!. Both have great numbers. If Broxton was removed as closer, I can see one of them getting it…Even Kuo, when he is healthy. Thanks for the info. The best baseball, right here.